Much has been written about the rising costs of higher education and increasing student debt levels, and there is no doubt that both issues are serious concerns. But hidden amid the conversation about cost and debt is another crisis with even more profound implications—the completion rate for today’s college students. To many, the problem may not be apparent. 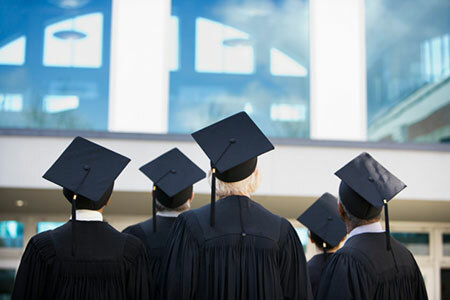 Roughly eight in 10 traditional college students—who attend a public or private nonprofit four-year university, on an exclusively full-time basis—graduate within six years, according to the National Student Clearinghouse Research Center. But look closer, and there’s real trouble. The data show that minority students, students who attend part-time (even for a short time), and students at for-profit colleges have much lower completion rates for four-year degrees. Leaving school before achieving a four-year degree seriously affects an individual’s economic prospects. It exacerbates the student debt challenge, as students accumulate debt but fail to achieve the college degree so crucial to repaying it. It also has major implications for our nation’s competitiveness. The relationship of college completion to personal economic security is well documented but worth highlighting. The Bureau of Labor Statistics reports that the January 2013 unemployment rate for individuals with a bachelor’s degree was 3.7 percent, compared to 8.1 percent for those with only a high school diploma and 7 percent for those with some college but no bachelor’s degree. Recent data from Georgetown University’s Center for Education and the Workforce show that median lifetime earnings for bachelor’s degree holders are $964,000 higher than for high school–only graduates, and more than $500,000 higher than those with a two-year degree or some college but no degree. But the National Student Clearinghouse study shows that important groups of students are struggling to get to a degree. Completion rates also vary significantly by type of institution. Considering all attendees (part-time, full-time, and those who do both over time), students who start and finish in the same public university graduate at a 57 percent rate; for those at a private nonprofit, the rate is 69 percent. Alarmingly, only 41 percent of entering students at four-year, for-profit institutions complete their degrees within six years—and the full-time average net tuition at a for-profit school is about three times that of public universities. Graduation rates for minority students also are significantly lower than for the overall population. Federal data show six-year graduation rates at four-year universities 8 percentage points lower for Latinos than the overall average, and 18 percentage points lower for African-Americans. The data are less complete when it comes to the reasons behind lack of completion. But three main factors are clearly important. First, lack of adequate high school preparation and ability to do college work is a critical factor. Second, many students feel they must work extensive hours to afford to attend college, as reported in the recent National Survey of Student Engagement. Third, both lack of academic engagement and slow progress hurt graduation: Students who feel less engaged are more likely to drop out, and lack of classes and changes in major both extend time to degree. These issues need to be elevated, so that nationally we begin talking about college completion in the same way we talk about college costs. It’s time for a serious, national action plan to help more students graduate. ■ We need a true national commitment to better preparing students for college work, reducing the need for remedial coursework. The many challenges facing the K-12 system are complex and more appropriately detailed elsewhere, but better preparing students in high school must be integral to any effort to improve college completion. ■ We need a collaborative approach to ensuring that a typical family’s college expenses after financial aid grow at a rate no faster than inflation. This is a shared responsibility, with colleges needing to control cost growth and enhance scholarships; the federal government strengthening its financial aid programs; states restoring funding for their public institutions; and families beginning to save early for college. ■ Recent advances with online learning offer opportunities for enhancing completion, although not a simple panacea. In addition to using technology to improve efficiency and effectiveness in college, the use of online instruction in high schools, during summer periods, and in developing lower-cost remediation seems promising. ■ Finally, colleges must focus on improving completion. Making the completion rate a primary focus of accreditation review seems an obvious step. Likewise, institutional eligibility for federal and state financial aid should be contingent on graduation rates, adjusted for risk in the student population. We know that students who are more deeply engaged—through such strategies as smaller, interactive classes, better and more personal advising, close work with faculty in independent study, and service learning opportunities—attain higher graduation rates. Increasing the graduation rate at our nation’s colleges and universities is a critical issue and a shared responsibility. It deserves a higher place in our national dialogue.